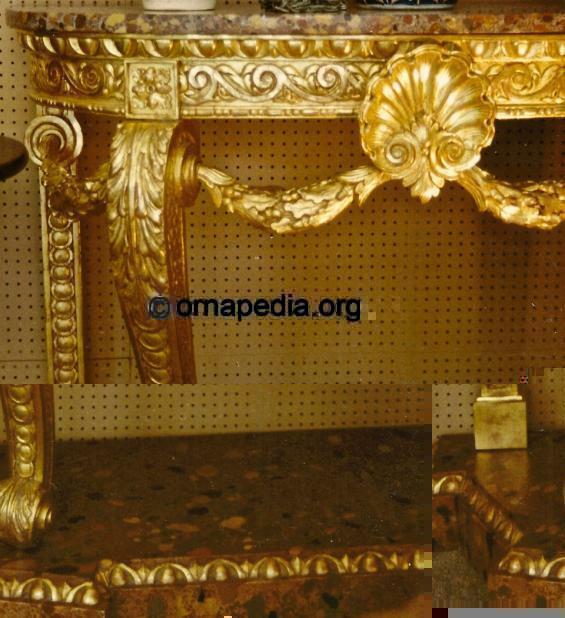 18th Century gilt console table - central shell with oak leaf swags - acanthus leaf legs with coining to face - egg and dart with greek wave and acanthus to the skirt - Ornapedia. Description: 18th Century gilt console table, detailed with a central shell and oak leaf swags, acanthus leaf legs and skirting and coining to face. Also detailed with egg and dart, and a greek wave. Read more about 18th Century gilt console table.